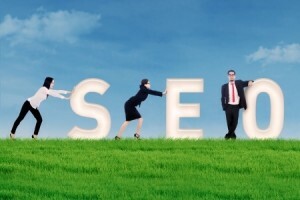 The world of SEO has been under constant evolution since its inception more than one decade ago. In the past, it was relatively easy to boost your website to the top of search engine rankings – with little competition to stand in your way, many of those who jumped into the world of e-commerce and web services made it big in very little time. The fact is, however, that times have changed and competition in even the most nuanced categories now presents a challenge. In addition to this, the concepts of search engine optimization continue to change on a near monthly basis. How can we keep on top of all of these changes? Frankly, it is impossible to stay informed on each little change, but we can maximize our effectiveness through embracing the most basic and evergreen forms of SEO. In the following article, we will discuss these concepts. The fundamental way that search engines operate is through the use of crawlers or spiders to index content. As a crawler navigates your website, it records and reports all content found and helps sites such as Google include it in their search results. While pinging Yahoo and other search engines is important, it can only happen if your web structure and navigation systems are finely tuned to allow so. Every page on your website should be linked to other pages within your domain, and a clear-cut site map should be included on each site. When you provide a list of all links on your website (categorized by directory and sub-directory), then search engines and users alike will be able to find the content they need. This will in turn boost your exposure on multiple fronts, such as SERPs. While search engine algorithms may change in the future, it is guaranteed that content will remain one of the most important elements of how search engines perceive your website. After all, how else should a site be judged? Quality content is hard to master, but its effect on your search engine rankings is profound. Not only will Google and others penalize you in various ways for duplicate or poorly-written content, but your readers will do the same through their lack of sharing and recommendations. The overall goal with content creation is to give your readers what they seek – depending on your niche, content creation may be difficult to master. Even e-commerce websites need some form of quality content to help boost their rankings and appease their customers. Many people forget about tags, but they are valuable and will always be due to their descriptive conveying of the topic. Whether it is a meta description or a title, these tags help search engines further classify your content. Since tags tend to weigh heavier into search engine algorithms and classifications when compared to any other string of words or a phrase, it only makes sense to optimize these to accommodate your SEO practices. Those who are pinging Yahoo and other search engines with no optimized tags, titles and meta data are likely to see their SEO influence stagnate.